Motorists have been warned there is still a risk of ice on north-east roads tomorrow, despite an improvement in weather conditions. Commuters faced little difficulty on the journey home this evening, with no new road closures to contend with. Bus operator First Group Aberdeen’s duty manager Graeme Edwards said it was the best day of the week in terms of weather. However, with wintry showers overnight there remains the likelihood that ice may form on many local roads. The Met Office has issued a yellow warning for ice for the region from about 10am. Philip McKay, head of roads and landscape services for Aberdeenshire Council, said drivers should be prepared for icy road surfaces. He said: “Showers are forecast during the evening which could turn into sleet, leading to the possibility of roads refreezing on already treated surfaces. 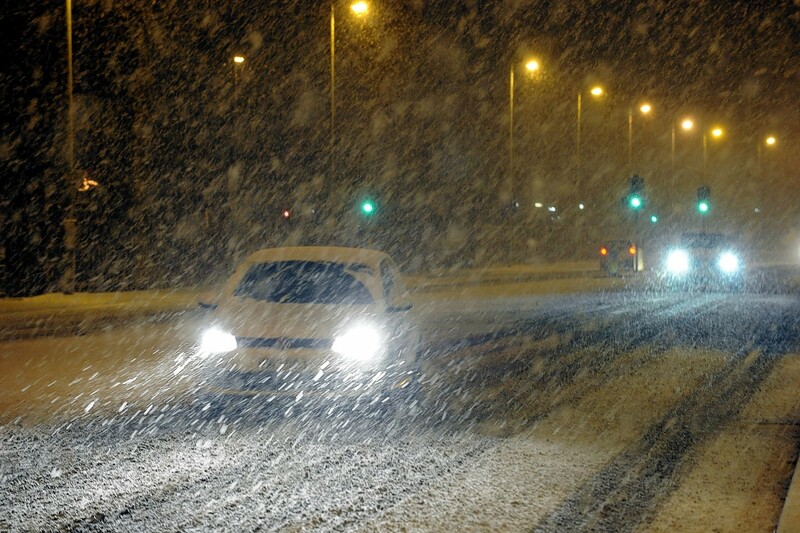 The local authority will send gritters onto priority routes tonight and tomorrow morning. Temperatures tomorrow are expected to be about 3-4C in Aberdeen and slightly less in rural areas. Forecasters have predicted that snow will be confined to higher regions. Sunday will be slightly warmer with temperatures expected to be in the region of 7C with some sunshine.